I currently play in A Decade of Soul. a 1964-1973 Classic Soul Revue. We play 2 shows nightly every weekend at BB Kings NYC. This style and type of music is my favorite to play. The songs are all timeless, the bass lines are killer. It’s a great gig and fun to be a part of. We have been playing there going on 8 years. I also perform with The Pamela Betti Band on Long Island. She is the Island’s Blues Diva! And I recently appeared on Carl Roa’s album Lord Of The Strings. I became an endorsing artist for D’addario Strings and did a video demonstrating all of there various string types. It will be up on the website very soon, Of course I used a Clement bass! Click here to view the page on D’addario Strings web page! 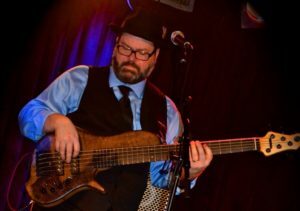 How did you end up as a bass player? I started out playing guitar with some high school friends, Kenny Siegal (Old Soul Studios, Johnny Society, Hunk) and Steve Hass (John Scofield, Manhattan Transfer, Hiromi). 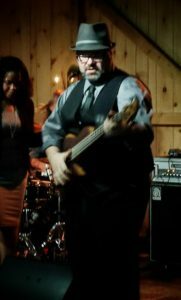 We needed a bass player and I gravitated towards it. From there we progressed into writing our own songs and recording them. A fun and real learning experience for all of us. The three “Bs”!! Be on time – Be prepared – Be a good guy to hang with! I write for my own pleasure, I am a vintage analog synth nut and make a lot of squeaky beepy sounds for my own amusement. I record them and eventually will release some. What do you think the bassist’s most important contribution to the band is? The Bass Player is the glue. He blends the time with the melody. My roll is to drive the band with the rhythm and listen and react to the dynamics and phrasing of the melody instruments. I currently use 3 Tom Clement basses. 2 four strings and 1 five. I go through phases where each one is my favorite and right now that one is my latest 4 string. Its solid swamp ash with no top. Passive. I call it my Blonde. 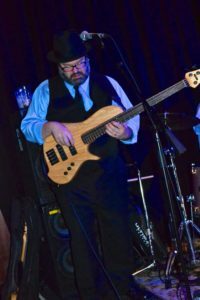 I have owned MANY basses over the years and the Clements work for me. Scale length, pick up spacing, weight. Everything. From the internet on Talkbass.com. I am not THAT active a participant but I have been reading stuff there since its beginning. Tom and I have had great communication since I ordered my first one. I was very specific when it came to details. Tom was great to bounce ideas of off. I wanted 32″ scale, Light weight single cut body, pickups placed in specific spots. We both were happy with the results. Have the basses lived up to your expectations? My Clement basses are just perfect for me. Every so often I realize what a world class luthier Tom is and how lucky I am to be playing instruments that work for me so well. Further reading: Robert Jack on D’addario Strings web page!